The farm serves many purposes which aids the community. Currently we have a pig’s pen, around 30 goats and a fish pond – we sell produce and provide training on caring for animals and milking goats. 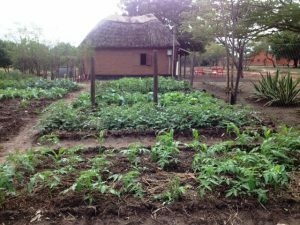 We also have vegetable plots growing tomatoes, lettuce, mustard spinach, Chinese cabbage, corn, onions and peppers, and we also cultivate Moringa. Furthermore, we also have a thriving, lush “model vegetable garden” – which speaks for itself to locals wanting to know more about our organic methods, we aim to contribute meaningfully to the empowerment of local village people, enabling them to better care for their families. 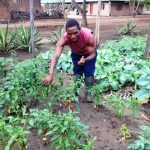 The team over the years have been practising organic farming methods to gain the best results from growing crops, rearing livestock and farming fish. Our short-term goal is to establish community gardens within local villages to reach more farmers and local people by being experts in our field, pushing boundaries, working flexibly, sharing knowledge and feeding the hungry. Sadly, we are facing a harsh famine this year, whereby the organics department is going beyond simply growing organic vegetables and rearing livestock – it is saving lives! At present the team are working around the clock to battle against the hungry season. 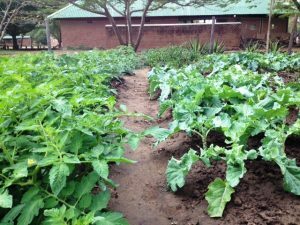 Never before has the team strategized to feed such a staggering number of hungry people, and used so much of the land before to grow produce. These are the effects of a growing number of desperate, starving people. Moreover, we are in the process of nurturing chicks to provide eggs to the poor and hungry. Join us on this noble journey of tackling famine head-on, we need your support.